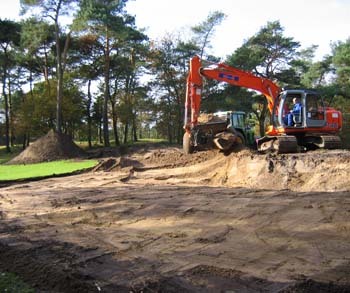 Creative Golf Design provides professional services for golf course construction, design and consultancy work on projects of all sizes and types; from small scale remodelling of established golf courses to large, new-build golf developments. The company has experience of working in many parts of Europe from the UK, Denmark and Germany in the north, to the warmer and more arid climate of countries such as Spain and Portugal in the south. This has given us a very good insight into the different planning, cultural, and environmental conditions of each region. We have recently developed masterplans for a number of projects in Slovakia and hoping to expand our activities in central and eastern Europe where golf is a growing sport. The company has in-house facilities for computer aided design, photo-imaging, and graphic illustration which can be harnessed for the production of high-quality presentation material. 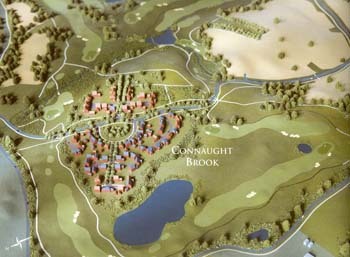 We can also provide computer simulated fly-through’s (see Sample Imagery), via a third party, which can give a realistic impression of the finished golf course. This is a great way to convey our design ideas to the Client, planners and future golfers, and it can be used as a vehicle for real estate and golf club membership sales long before the golf course is completed. 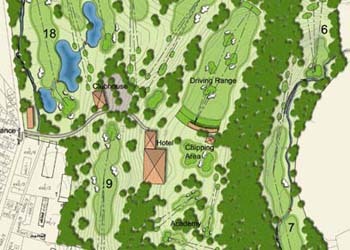 With complimentary skills in landscape design, topographical surveying and project management, Creative Golf Design can offer the Client a comprehensive service to assist in the development of his/her project. Initial site visit(s) to analyse the site, determine the feasibility of the project, and look at design options which meet the requirements of the Client. This normally involves the development of a project brief in the light of the feasibility study, the design of alternative golf course layout plans, and the preparation of budget costs. Once the preferred layout has been agreed, a planning submission can be put together based on the requirements of the local planning authority. Normally the submission will include a concept Earthworks Plan, Tree planting Strategy Plan, Drainage Plan and Seeding/ Management Plan. Increasingly, with water resources being a prime consideration in the determination of any planning application for a golf course, an irrigation study will also need to be carried out and we can provide this service via a partner company. We would recommend that a local planning consultant is employed to co-ordinate the planning application. Revised Layout Plan at 1:2500 or 1:2000 scale. 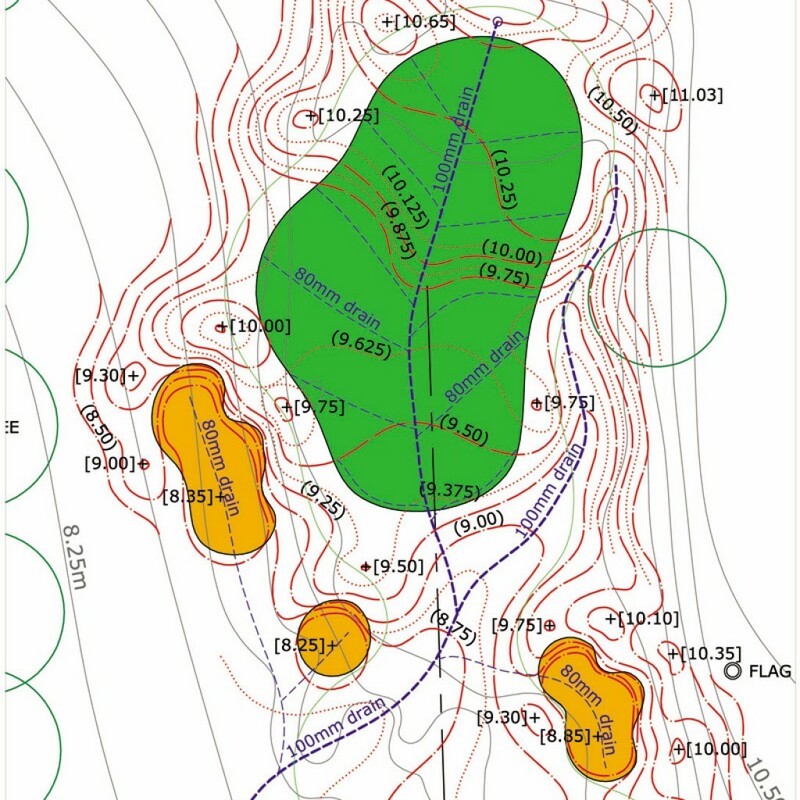 Earthworks plans for greens, tees and bunkers at a scale of 1:250 showing proposed contours at 0.25m intervals and intermediate 0.125mm contours on green surfaces. 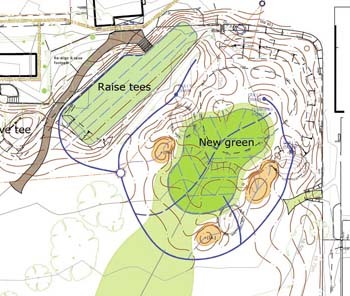 Fairway Earthworks Plans at 1:500 scale. Drainage Plan at 1:1000 scale. Tree Planting Plan at 1:1000 scale. Seeding & Management Plan at 1:1000 scale. Irrigation Plans at 1:1000 scale (via a partner company). Some design companies will not produce this level of detail but we feel it is essential to get the best possible result and to keep the project within an agreed budget. 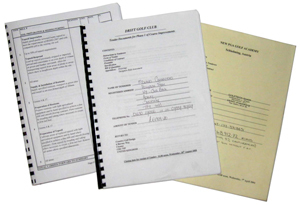 The Contract Documents include the Specification for the project, Bill of Quantities, and Conditions of Contract. These clearly state what is required of the contractor appointed to build the golf course and form part of a legal document. Not all golf course architects provide a detailed Bill of Quantities but we think it is the best way to get value for money for the Client and to ensure that the project does not go over budget without good reason and prior agreement. The project is normally tendered to 3-5 golf course contractors for pricing but a price can be negotiated if a preferred contractor has already been identified or if there is not enough time to tender the project in the normal way. 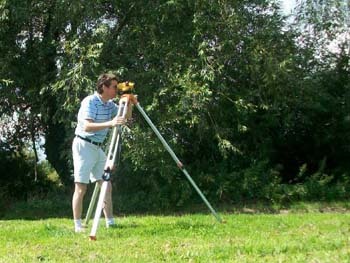 A very important ingredient in the success of any project is that regular inspection visits are made by the golf course architect during the construction phase in order that he can monitor the quality of materials and workmanship, and to supervise the final shaping of key features of the golf course. 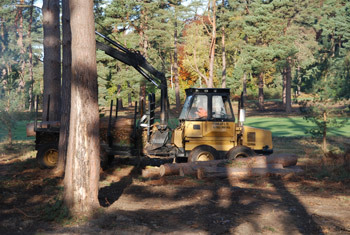 Normally weekly visits are sufficient during the main construction period with further visits during the early maintenance stages to ensure that the golf course comes into play in the best possible condition. However, we can provide a full-time on-site presence if required. We would also provide certificates for payment of each instalment to the contractor, identify defects which require to be remedied during the establishment phase and certify the completion of the work. We have carried out a large number of Course Appraisals for existing golf clubs and course owners in the UK and other parts of Europe. 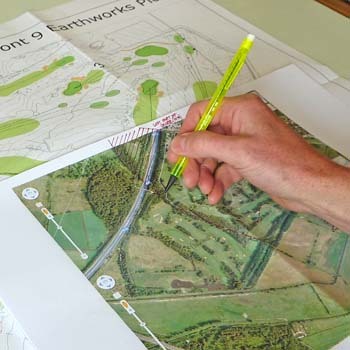 The resulting report forms a very useful document which can be used to plan the future development of the golf facility over a period of years to match the budget and aspirations of the Client. 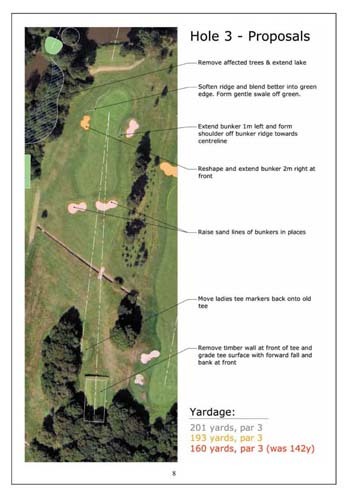 We can limit the report to an appraisal of the golfing strategy, which concentrates on the improvement and redevelopment of the golfing hazards, and perhaps the introduction of a few new tees or pin positions on the green to improve the playing challenge and enjoyment of the course, or expand it to look at other areas of course improvements such as the rebuilding of greens or addition of a new drainage system. We can also report on specific proposals to add additional holes, alter the layout for safety reasons, or change a single hole. 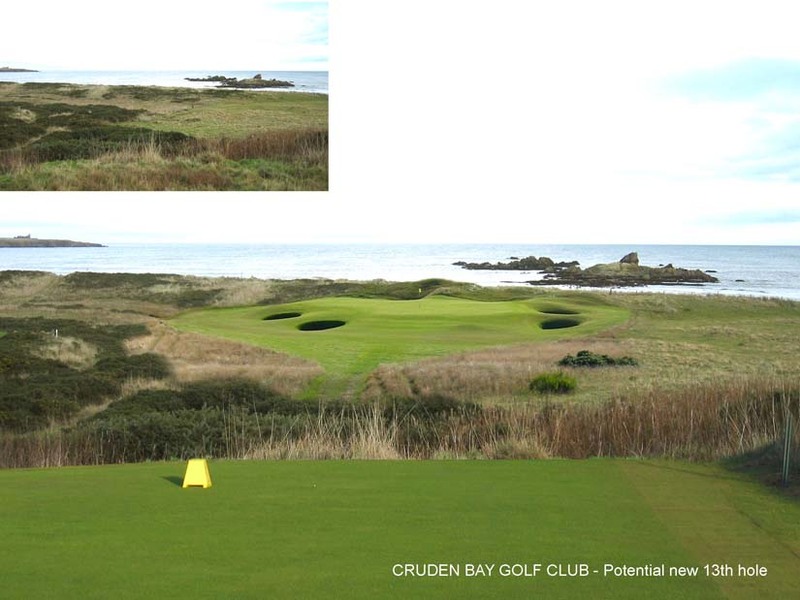 The report will normally contain plans of each hole illustrating our proposals on a hole-by-hole basis, estimated construction costs and sample photomontage illustrations showing how a few key modifications might look in reality. Following the Course Appraisal, the next stage is normally to develop detailed design drawings for the proposed improvements (for work which requires planning permission or special licenses, there may be an intermediate stage requiring drawings specifically for the planning application). Although the Client is under no obligation to accept our detailed design services when he/she commissions the initial Course Appraisal, most clients appreciate that its is essential in order to ensure that the original design ideas are properly realised and for a relatively small proportion of the construction budget we can provide this invaluable service. 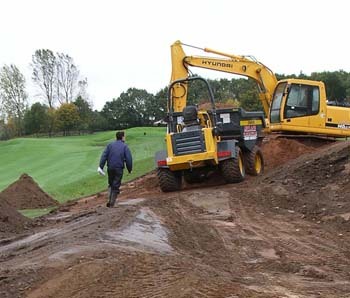 Another key element to ensuring the success of course improvement work is for the golf course architect to have regular visits during the construction phase to ensure that the plans and specifications are being accurately and fully implemented. We would not wish to produce detailed drawings for projects where we did not have some ongoing role during this period. As with new-build projects, it is important that the work is carried out by skilled labour and using the right materials and that a proper contract is in place for work to be done by a contractor. 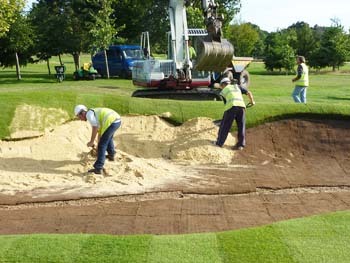 However, some smaller scale work, such as the rebuilding of a few bunkers or a new tee can be done largely in-house, with just the assistance of and excavator and experienced golf course shaper, in order to utilise surplus labour during the autumn/winter and save cost. We can undertake small-scale surveying and hole-measurement work in-house but will sub-contract larger projects to specialist firms. We are happy to provide consultancy advice and design services for a wide range of construction-related or course presentation issues at established golf facilities. We also have close links with companies that can provide woodland management & ecological consultancy expertise in the UK, and irrigation design and engineering services throughout the world. We believe in the principles of sustainable design in all its forms, i.e. environmental, economic and social. 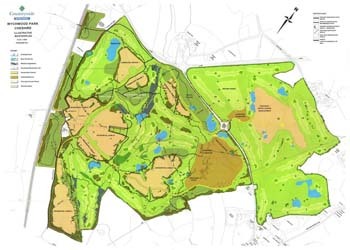 The correct balance of all three aspects of the sustainability triangle will be critical to the success of any golf development and planning authorities will normally expect each to be carefully considered during the Environmental Impact Assessment before planning permits are granted. 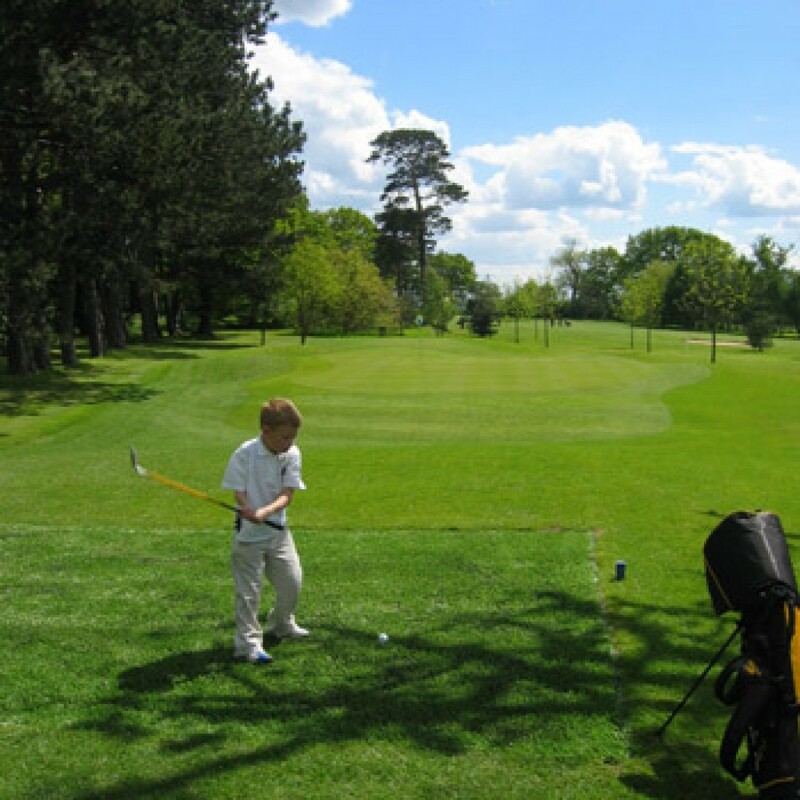 A golf course is much better if it is designed in harmony with its environment and this will give its special genius loci, or spirit of place, which sets it apart from the other golf courses in the area. With a degree in Landscape Architecture, the Principal of the practice has considerable experience in applying sound ecological practices to the integration of the golf course within the natural landscape and developing planting plans which respect and enhance the local environment of the site. 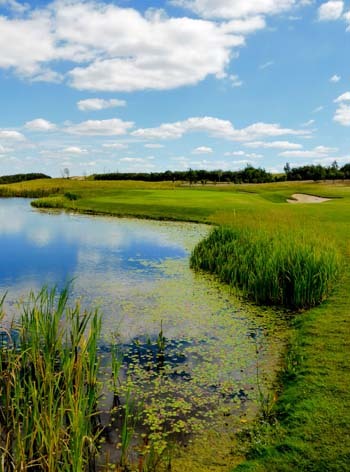 Water issues are becoming increasingly important in the determination of a planning application for a new golf development and often the final decision will hinge on whether these have been properly resolved. This will include ensuring that a sustainable source of water has been found for irrigation purposes, and whether measures have been taken to mitigate potential flood risks and avoid pollution of neighbouring water courses and groundwater supplies from fertilisers and pesticides. Working with consultants, we can address each of these areas of concern. 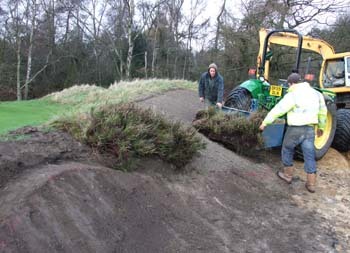 We seek to minimise expensive and environmentally damaging earthworks by designing the golf course to fit closely with the existing topography wherever possible, and by utilising and enhancing the natural features of the site. We carry these same principles through to the way we organise our own business, recycling paper and other waste products produced by the office and travelling by train when it is a practical alternative to car or air travel. In order to be profitable, a golf course must be financially sustainable. This means building the right type of golf course for the target market and not spending excessive sums on construction. Since we provide accurate design plans and bills of quantities we can work very closely to the agreed budget and minimise the need for costly overspends. We work closely with the client and his/her financial advisors to find the best solution. Often an environmentally sound design will cost less to build and manage in the longterm and so the two should be mutually compatible. This is more difficult to define but will include respecting the culture and history of the site and the surrounding area, and designing a golf facility which fits within the fabric of the local social environment. 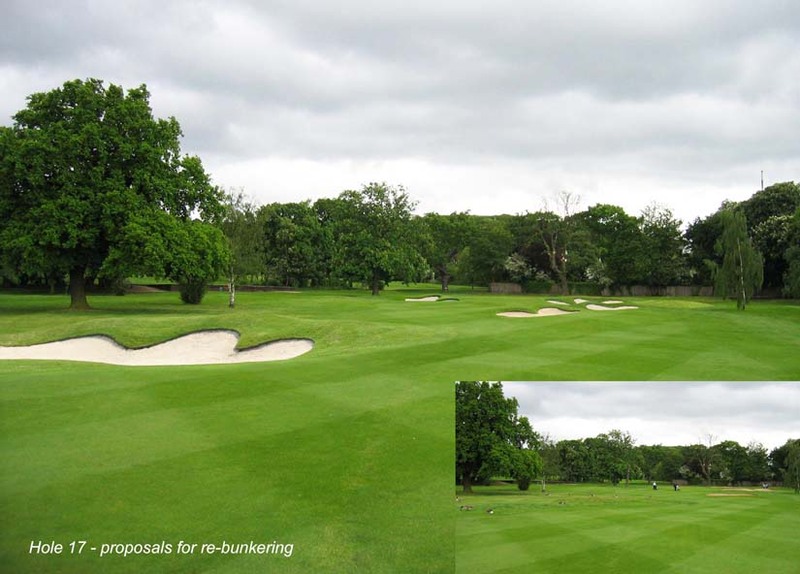 It will mean good communication with the local communities, planners and interest groups; using local materials, labour and craftsmanship where possible; and ideally providing at least part of the golf facility which can be used by local people. Even in a tourist-based golf development it is best to engage with the local community and offer something for them to use. In addition, by developing starter golf facilities and developing local golfing interest, the golf development will have a more secure financial base than one purely based on attracting golf tourism.